Perfectly balanced for an easy accurate throw. 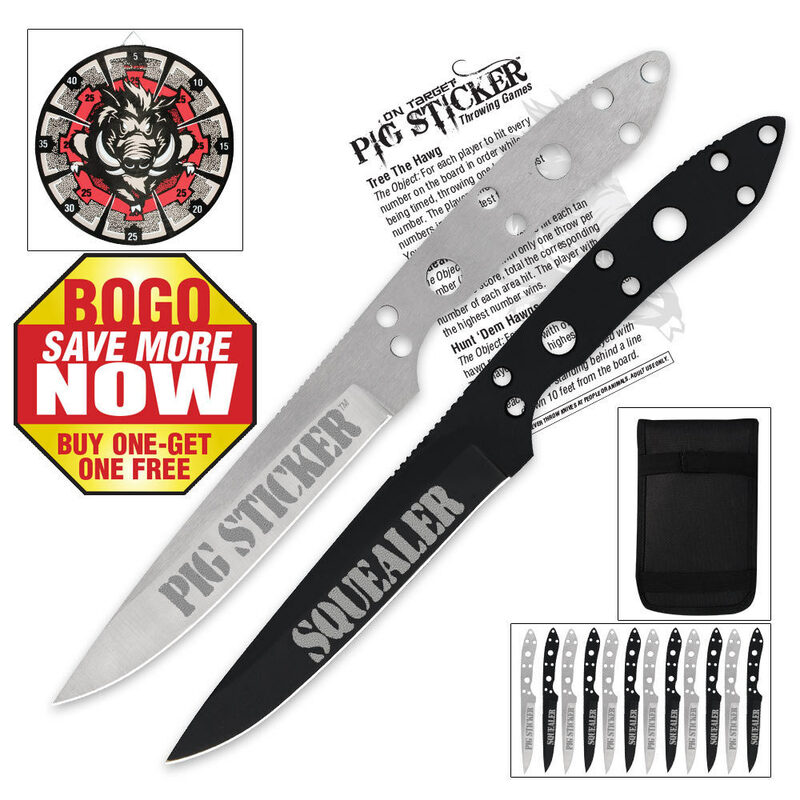 Get ready to make everyone squeal with this Pig Sticker Throwing set! Each throwing knife has an eye-catching etch right on the blade, a razor-sharp edge and a piercing point. Nail the target everytime with these perfectly balanced throwers!